It is quite a while since I am investigating how Android developers maintain their apps. 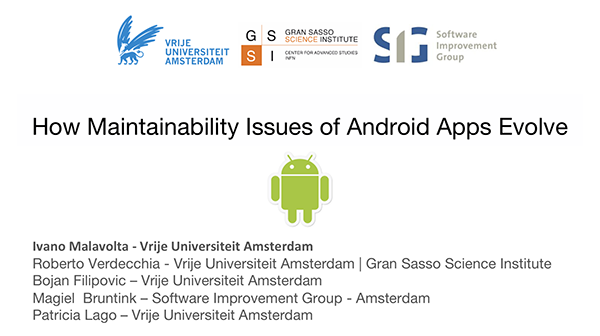 Yesterday I presented a study about how maintainability issues of Android apps evolve at the 34th International Conference on Software Maintenance and Evolution (ICSME 2018). The full paper is available here and below you can find the slides of the talk.